Very Good. The classic manual for "survivors" everywhere has now been updated, expanded, reillustrated and published for the first time in jungle-proof rubber. 150 illustrations. 24-page color insert. Sewn binding. 320 p. Contains: Illustrations. In the Woods. Fair. Ships Within 24 Hours M-F-Satisfaction Guaranteed! Has a publisher overstock mark. This book has visible wear and may have tears, rips, and creases. Book is readable though. Fair. Has a publisher's remainder mark. Book reads fine but has significant wear, dings, and jacket tears. Great Shape! 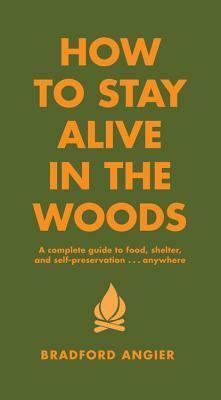 Living off the country; how to stay alive in the woods.